This is the age of the Internet, and one of the most revolutionary concepts is social networking because it lets you connect with older friends even after losing contact with each other. One of best examples of such social networking sites is Facebook. Along with Facebook, there are many other social sites as well where you can follow people, upload images and do status updates as well. Instagram is a great photo-based social site which is best suited to the people who are more interested in uploading their photos and checking out friends’ photos. Most of us love to use Instagram because we all love taking selfies and uploading them online to get likes and appreciated by friends. However, there are many out there who initially signs up to Instagram but later for some reasons they want either to delete their Instagram account temporarily or permanently. Since Instagram and other social networking sites are very addictive, many of us at some point of time think to get rid of these at least for some time so that we can focus on the more important things in life. Therefore in this blog post, I am going to share the How-to guide about deleting the Instagram account permanently and temporarily. 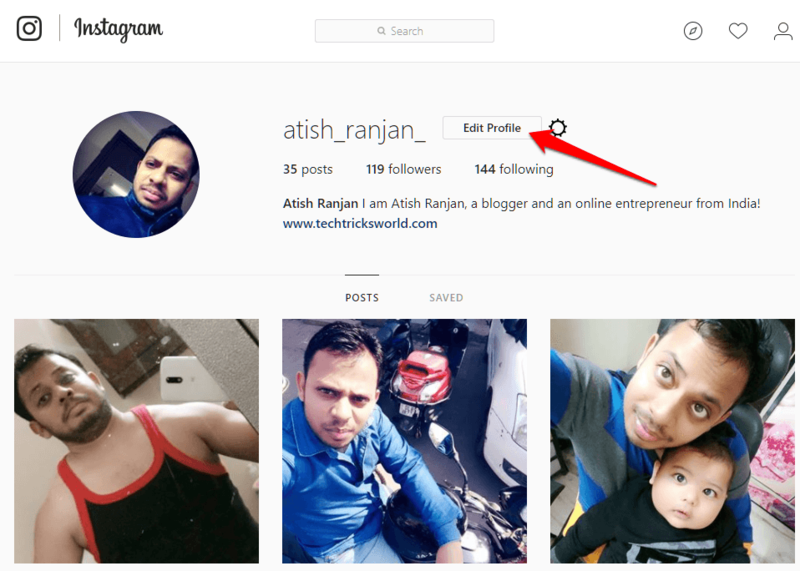 How to Delete Instagram Account Temporarily? When you try deleting it temporarily, it is actually disabling your Instagram. When you disable your account, your profile, likes, photos, videos, and comments are hidden. But when you log in back, all of these information will be reactivated automatically. That means disabling your Instagram doesn’t delete your information and content rather only those are hidden for the duration in which you keep your account disabled. To do it, you have to log in to your account on a computer or any browser because you cannot temporarily disable your Instagram account from its app. All you need to do is to open instagram.com either in the mobile browser or your computer’s browser. Then log in with your account credentials. Once logged in, click on the Profile icon as shown in the below screen. You have to click “Temporarily disable my account” this will take you to the confirmation page where you have to select a reason for disabling and then confirm the password for authenticity. And then click on “Temporarily Disable Account”. This will disable your Instagram temporarily which means all of your presence on Instagram in terms of likes, comments, photos, and videos will be hidden. To reactivate your account, you have to sign in using the same credentials, and all your data and information will be retrieved. Select the reason for deleting, enter your password, and then click “Permanently delete my account”. Once deleted, anything is unrecoverable. You cannot get them back whether they are your likes, comments or photos. Everything will be removed permanently. 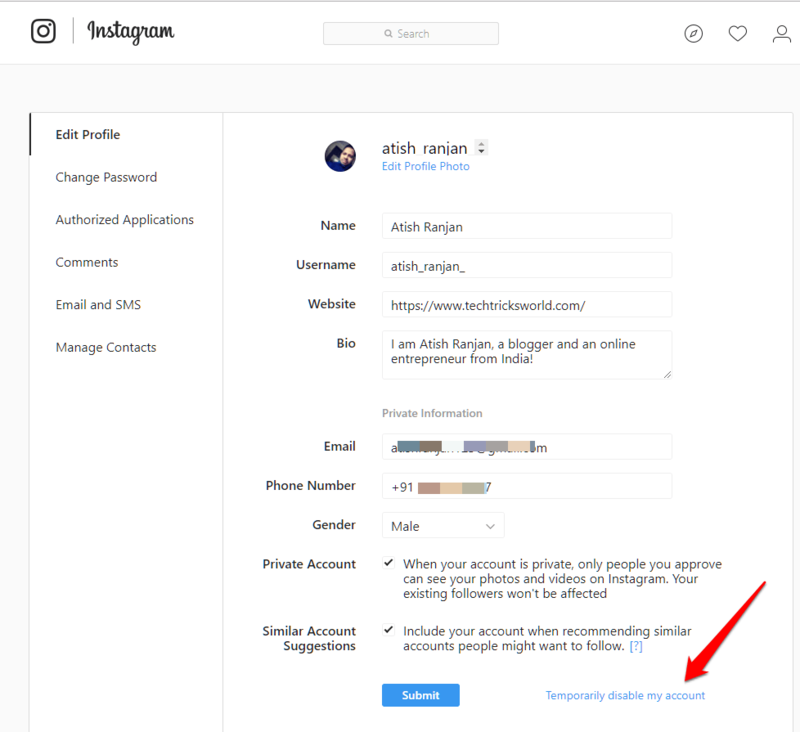 One more thing, even if you want to create another Instagram account later, you cannot choose the same username. 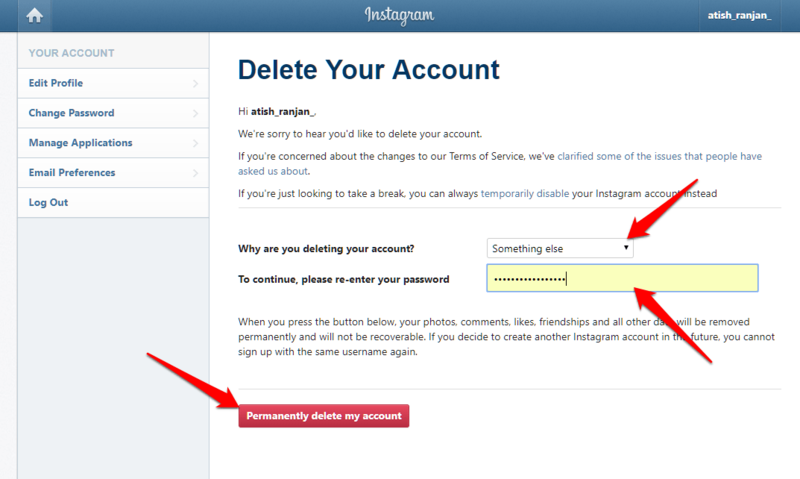 These are the ways to delete an Instagram account permanently and temporarily. But, why people would want to delete their Instagram account? There could be many reasons for deleting the account. Some do it because they feel it takes a lot of their time, and they are not able to focus on other things. Some do because of having exams or some other important things. 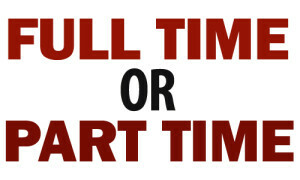 Some do due to security reasons, or there are many who are fed up of using a lot of social media sites. Different people could have different reasons for disabling or deleting the Instagram account. I have shared both ways; so if you want just to disable for some time, you can do it. And, if you want to delete permanently then also you can do it using above method. I hope you won’t have any issue carrying out the methods as they are quite simple. If you still get any issues or something you find hard to understand, do write to me in the comments, I would surely try my best to come up with a solution. Nice article about how to delete Instagram Account. Please tell me How to use Insta in Pc? to use Instagram in PC, you can just type the url in the browser on your computer, and then log in. However, you won’t be able to upload pics but you will be able to like and comments. I will be soon posting the trick to upload images to Instagram using PC as well. Stay tuned. I don’t like Instagram and every time I’m editing an ad at Facebook they try to sell me this Instagram idea. I avoid since it’s not so good. used to instagram in pc…. waa nice concept.. nice post useful day to day life . Everyone know good knowledge for instagram app ,all most people used to instagram apps,daily update for information like live video , pic,ect… Please tell me ..how to connect instagram in pc? how to getting login id and pwd ? how can possible ? 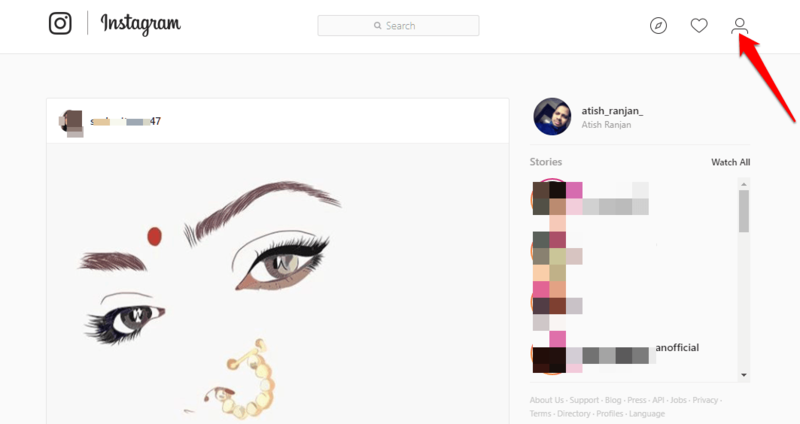 You can simply go to instagram.com and use it in your PC browser. However, you won’t be able to upload images using PC but there is a trick for that which I will soon share. Hello, Here is the post => https://www.techtricksworld.com/upload-photos-to-instagram-from-pc/ Do check this out. Nice article about how to delete Instagram Account. Its a very interesting tip for me. Once again thanks..